ISK-SODEX, the largest air conditioning systems exhibition in the Eurasia region is preparing to bring national and international brands together again. 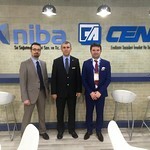 Achieving great success with the business volume it created in 2018, by bringing together 424 international participants from 44 countries and 84.936 industry professionals from 105 countries in Turkey, the exhibition is ready for next year at the same pace. 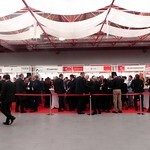 The international exhibition, organised by Hannover Messe Sodeks Fuarcılık, the Turkish subsidiary of Deutsche Messe, brings together the HVACR, Pumps, Valves, Fittings, Fire Prevention, Water Treatment and Insulation industries. 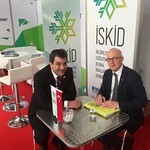 It will be held at the TÜYAP Exhibition and Congress Centre between 2 and 5 October 2019, in cooperation with ISKAV, DOSIDER, İSKİD, İZODER, TTMD, POMSAD, SOSİAD, ESSİAD, MTMD and KBSB. 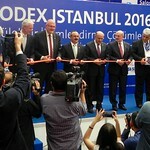 ISK-SODEX Istanbul has been showing the way for the development of the industry and highlighting the industrial innovations since 1997. 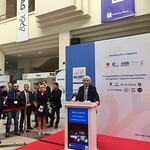 ISK-SODEX 2018 was organised at TÜYAP Exhibition and Convention Centre between 7 and 10 February 2018. 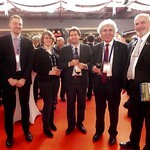 At its new place and on a new date, ISK-SODEX brought a highly unique and more powerful experience than ever. 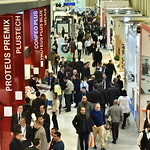 The exhibition displayed new product groups in dedicated Energy Efficiency and Building Automation showrooms and showcased new products and services in heating, ventilation, air-conditioning, pumps, fittings, water treatment and insulation fields. 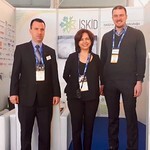 ISK-SODEX is a biannual event organized by Hannover Messe Sodeks Fuarcılık in association with ISKAV, DOSIDER, İSKİD, İZODER, TTMD, POMSAD, SOSİAD, ESSİAD, MTMD and KBSB. 1294 companies from 47 countries participated in ISK-SODEX 2016 and had the chance to meet 83.764 visitors. The year 2018 indicates that this success story will continue by getting stronger than ever thanks to special visitor programs run by Deutsche Messe’s representative offices in more than 100 countries, programs in target countries that address professional procurement officers, cooperation with associations, societies, chambers of commerce and media agencies as well as more than 100 Anatolian committees from different provinces.